Acoustic foam panels help absorb airborne sound waves that travel in open spaces, helping to reduce the levels of echoes and noise pollution. Having good or bad acoustics can significantly influence the levels of productivity, satisfaction and the health of employees that is why improving acoustics in the office should be a priority, especially if you operate in an open plan office space. Acoustic noise barriers are necessary to create an efficient working environment and our range of office acoustic solutions are specifically designed to minimise the level of noise pollution within an open area, they are highly versatile suitable for home and office use. 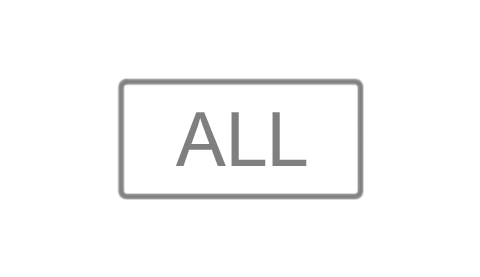 Our online catalogue offers various high-quality noise reducing solutions such as office acoustic panels, acoustic office pods, acoustic desk screens. 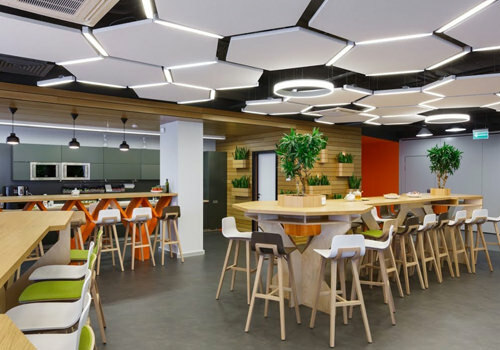 The selection we have on offer most certainly meets the acoustic requirements for offices and other places where noise pollution is a problem. 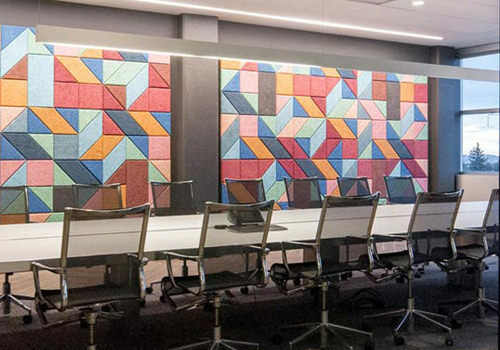 The acoustic screens, panels and partitions are all offered in a variety of different colours, shapes and sizes allowing you to create a style and design to best suit your office interiors. The acoustic panels are made out of highly absorbent noise reducing materials to ensure optimum performance. The polyurethane foam which some of our panels are composed of has an open cell structure which offers high-density soundproofing properties. For an eco-friendly solution, we have panels which are made with 70% of recycled polyester fibre materials. For meeting pods, choose between many sizes and stylish designs with comfortable soft seating upholstery. We source our office acoustic products from some of the best in the industry including Soundtect, HUSH, Fluffo and Framery Acoustics, just to name a few to ensure you are getting the best high-quality designs for improving your office acoustics. Did you know that employees who work in an open plan office could be 15 % less productive and may have immense trouble concentrating and it has been concluded that employees lost as much as 86 minutes per day due to noise distractions? A reason for this may be the fact that there is a lack of privacy in open spaces and the level of noise can reach a point where it can be very hard to concentrate. We have a wide selection of acoustic soundproofing panels that can be mounted to walls and ceilings to help reduce the levels of background noise and reverberation in any open space. 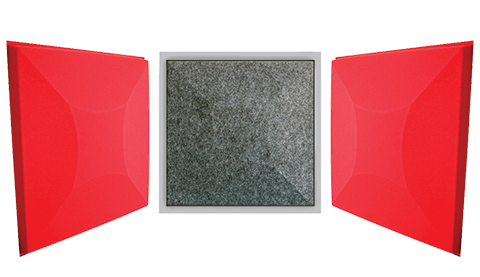 The panels made out of sound absorbing materials help reduce the level of noise like echoes within a space. The wall panels are easy to install and can be easily cleaned with soapy water. To create a sense of privacy in the workplace, we offer an array of office acoustic barriers including desk screens and free-standing screens. The acoustic screens act as a barrier by helping to prevent noise from passing through from one area to another. The desk screens can be fitted easily to desktops helping you subdivide your office workstation with no hassle. 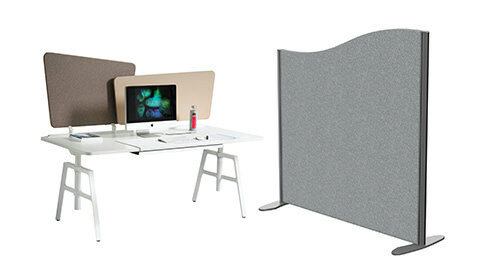 The free-standing screens are highly useful for creating specific zones in the office and are completely mobile meaning it can be positioned wherever you need. 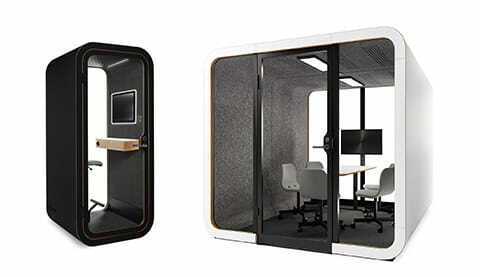 Acoustic office meeting pods are the perfect solution if you are looking to provide a comfortable yet functional meeting space for workers or to provide a quiet retreat from the busy office environment. Some are fully customisable and can be fitted with power and media outlets to accommodate for tech devices and other needs. The roof of the meeting pods can also be fitted with optional LED lighting. We offer many shapes and sizes of meeting pods ranging from a single seater pod to 3-6 seaters or large capacity seating for bigger groups. 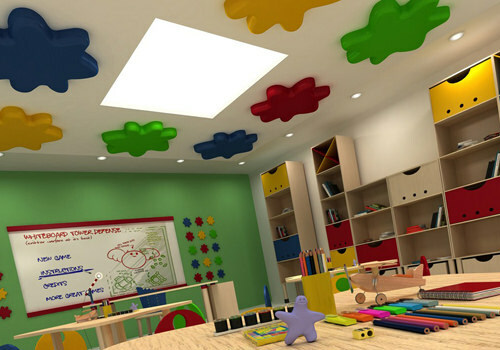 Acoustic solutions can also be used in other areas such as classrooms, college auditoriums and restaurants where noise and echoes can be a disturbance. 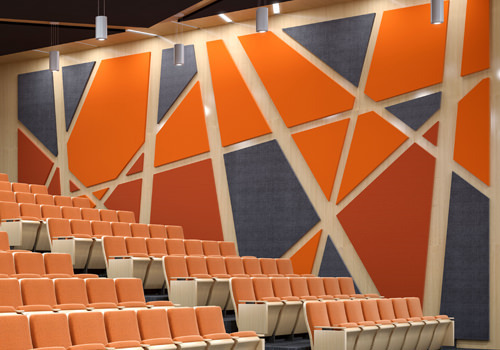 Classrooms and auditoriums can greatly benefit from acoustic panels because of its excellent soundproofing properties that can accommodate for a broad range of frequencies keeping echoes to a minimum, allowing students to fully concentrate and comprehend during lectures without any distractions, creating a more comfortable learning environment. Less noise around the classroom can also help reduce stress for teachers and students. Busy restaurants can sometimes lead to noise levels being very high due to many people confined to one area. 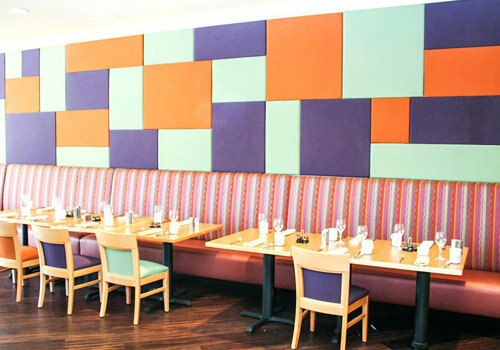 Installing acoustic wall panels can help absorb the echoes and excessive reverberations from individual customer chatters and allowing for everyone to have a pleasant time whilst enjoying their meal. 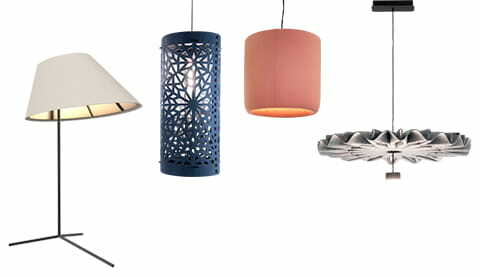 If you’d like to find out more about our range of Acoustics or discuss your requirements, simply request a callback.